Every year people from all over gather at SXSW EDU. We come to learn from innovative leaders, debate some of the pressing issues facing education, and — of course — to meet new friends! When you get hundreds of teachers and practitioners in the same room, all from different backgrounds and experience levels, it can be magical. You learn of new techniques to try, bond on facing similar challenges, and leave inspired and energized to take it all back to your own community and classroom. So let’s make that continue! That feeling of inspiration and excitement doesn’t have to end. Chalkbeat celebrates the art and craft of teaching every month by sharing uplifting stories from teachers around the country. The How I Teach newsletter rounds up cutting-edge ideas from teachers and shares them in a concise, easy-to-use format. That’s where we learned about Ginny Terrell, a Texas-born math teacher who uses the challenges she faced growing up in school to strengthen her teaching. As a student, Ginny struggled with math and credits teachers who stayed after hours to give her the support she lacked at home with making her the educator she is today. 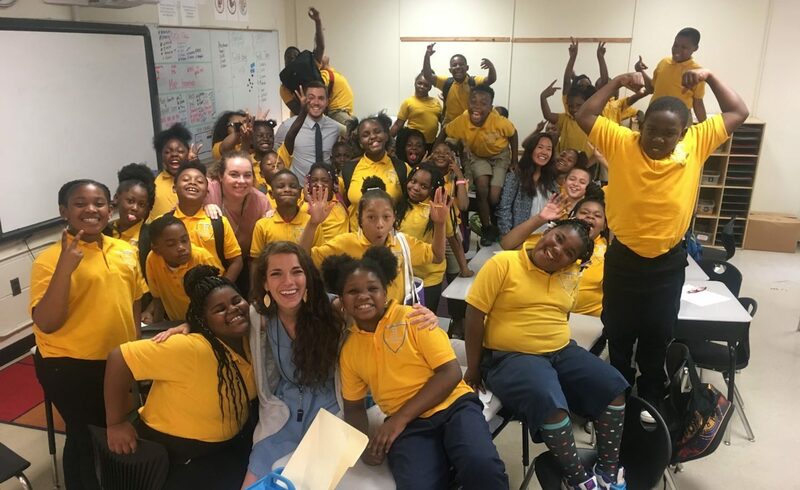 Now a third-grade math teacher in Memphis, Ginny employs strategies to meet students where they are and teach to their varied abilities. For example, to teach perimeters and areas, the class took a trip to the playground. “They counted blocks and other items around the playground and added them up to get the perimeter,” Ginny told Chalkbeat reporter Rebecca Griesbach. By using a familiar (and beloved) setting, Ginny helped her third-graders better grasp and remember the concepts. How I Teach not only shares stories like this, it also features reading recommendations from educators, and aggregates the top education articles produced by Chalkbeat, a SXSW EDU partner and a powerful engine of local-first news sites dedicated to telling the story of education in America. Chalkbeat is proud to be a media partner of SXSW EDU. Sign up for How I Teach — or any of our daily, weekly, or monthly newsletters to get the scoop on what’s happening in America’s classrooms and on the political and policy decisions that affect them most. Sponsored content and photo provided by Chalkbeat.